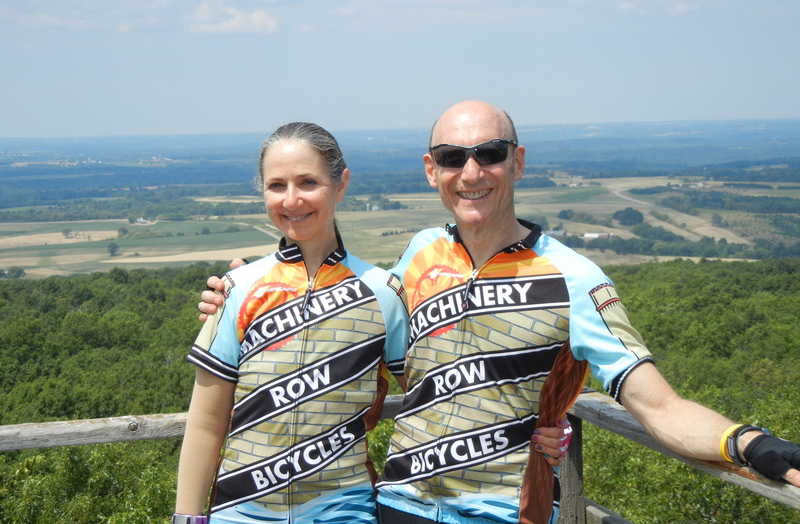 We are chugging up the road to the highest point in Wisconsin, the Blue Mound State Park. It’s only a one-mile climb, but the grade keeps getting steeper. It starts at 10%, but it is 17% at the top. Did we make it? Of course we did. 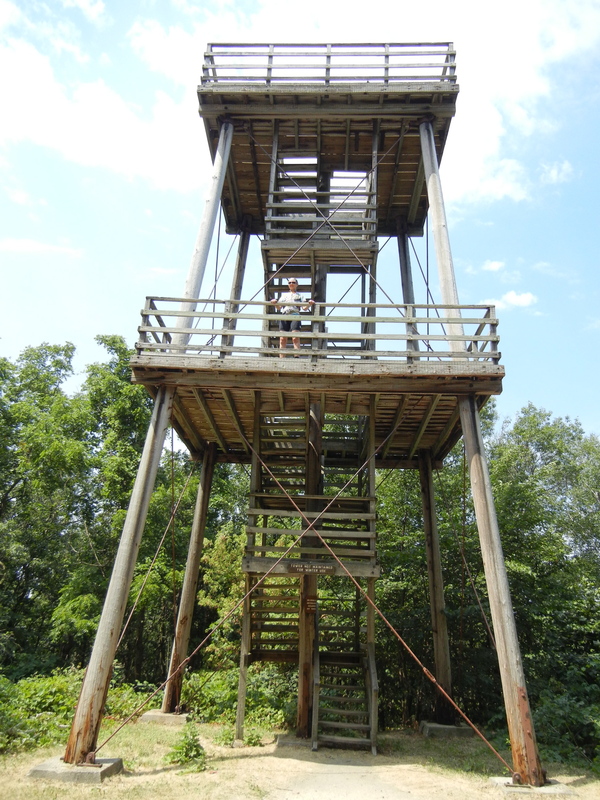 There are two observation towers at the top so you can look to the east or look to the west. Evidently, we didn’t get enough climbing yet and we walk to the top of each one for photos. Tall, and kinda scary to climb. Today is a short, 28-mile ride because it’s a travel day and we are on the hunt for trolls. We start the ride in Mt. 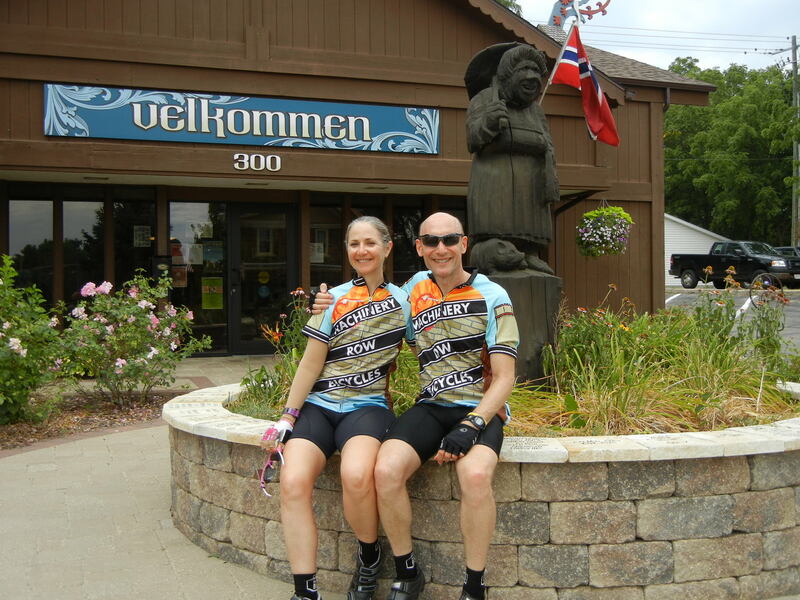 Horeb, which bills the road through town as the “Wisconsin Trollway”. Trolls are good luck in Norway. 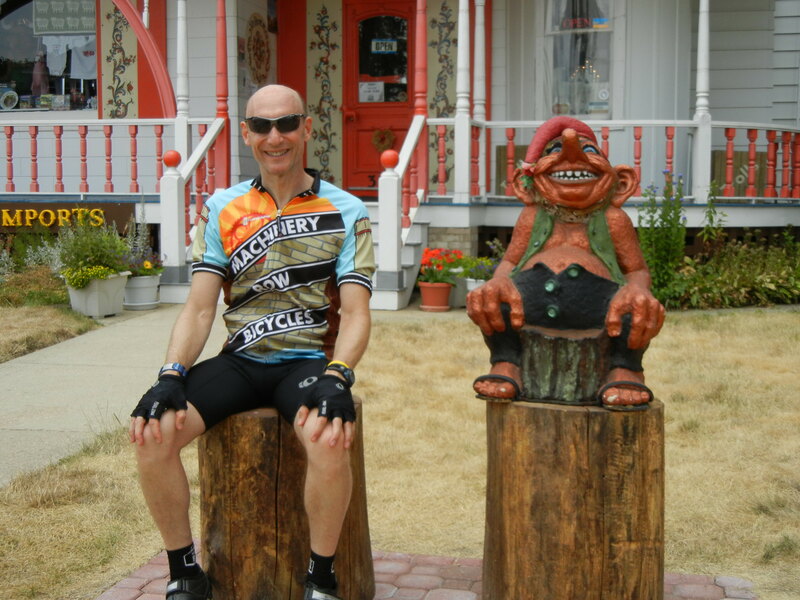 There are trolls everywhere as we ride through town. We use many of them as photo opportunities, because that’s the kind of people we are. Which one is the real troll? Trolls watch over your house. 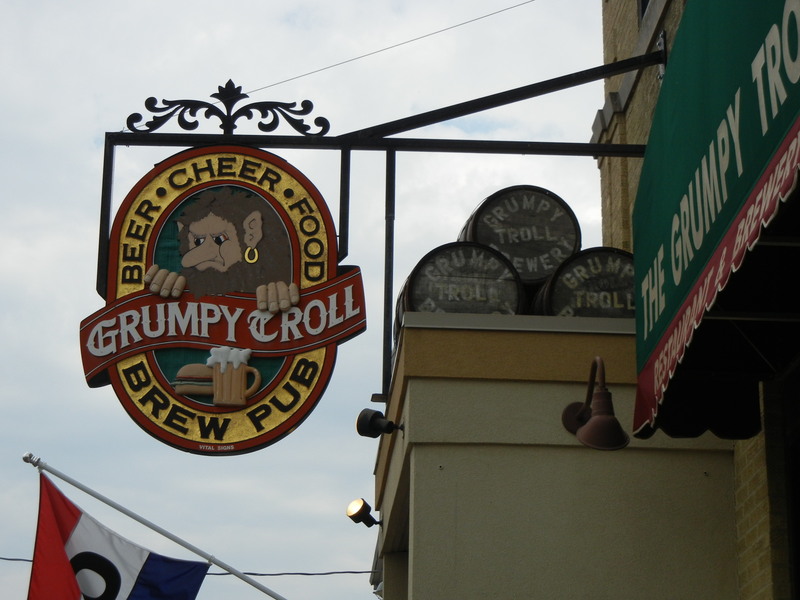 Lunch is at the Grumpy Troll brewpub, a meal we have been looking forward to all week. A must-visit in Mt. Horeb. 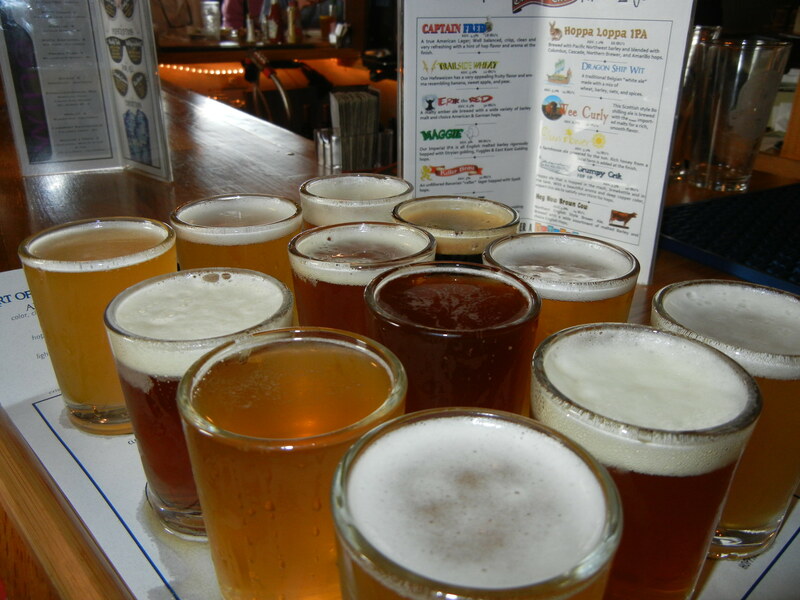 They make 12 beers at the Troll, and fortunately for us, you can order a sampler of them all. The twelve beers of the trolls. Lots of good stuff in there. They are only 4 ounces each, so that’s the nutritional equivalent of 1 1/2 pints each. 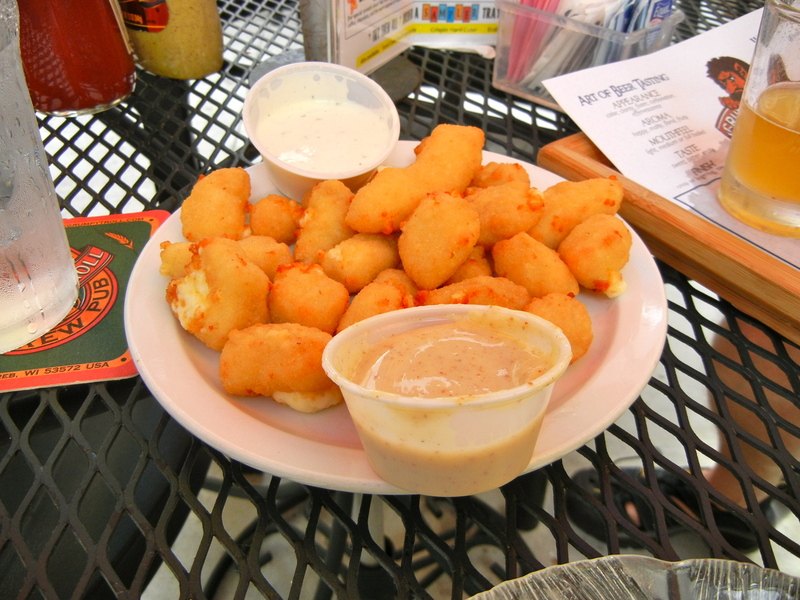 And speaking of nutrition, there have been a lot of requests for us to try the fried cheese curds, so we start out with those. 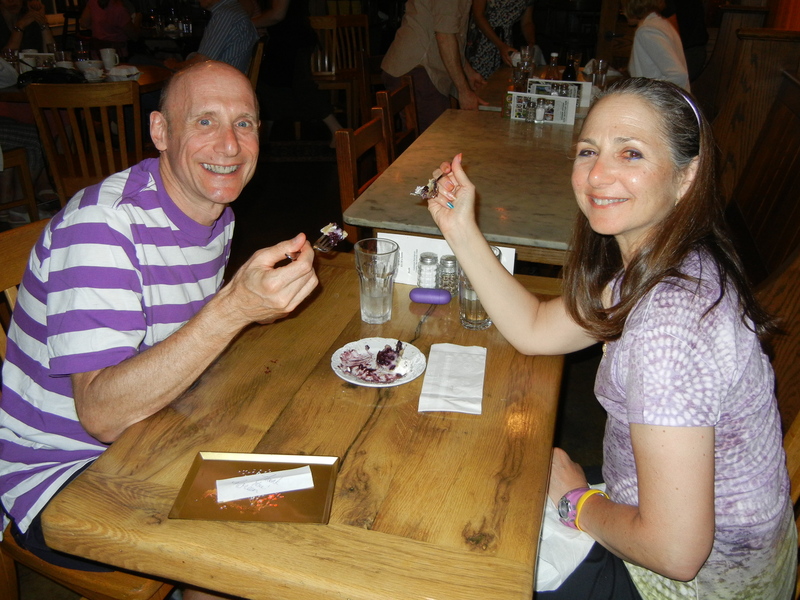 Our cholesterol rises as we eat them, but they are very good. They take cheese curds and then they fry them? Only in Wisconsin. 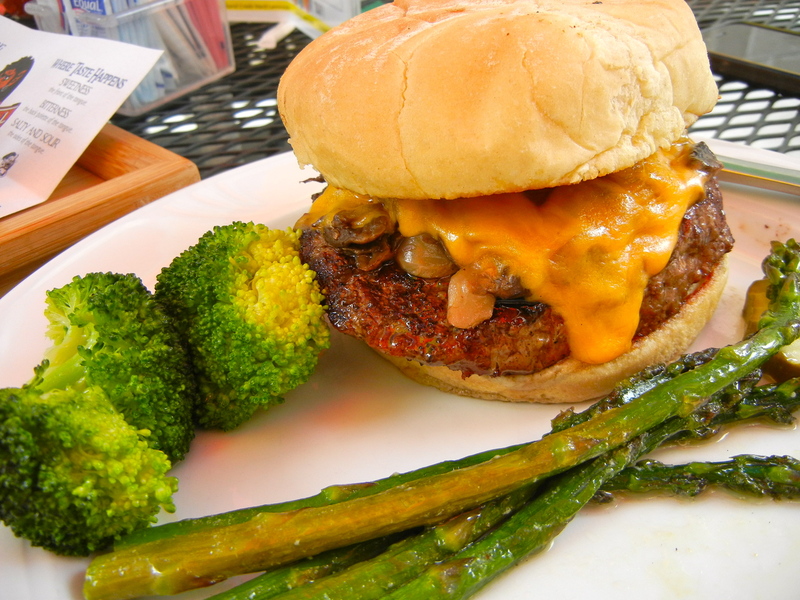 Mushroom cheddar burger. Gotta eat more cheese! The Happy Troll burger. Same as above, but with no mushrooms. 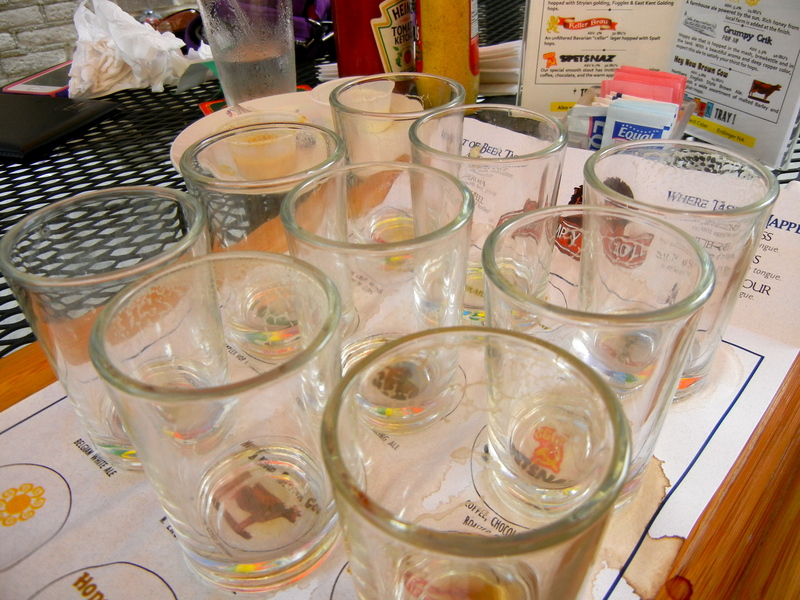 An hour and 45 minutes later, we have finished our beer, all of it. After some troll shopping, we have room for dessert, and since we are killing time before we have to drive (24 ounces of beer does that to us us), we duck into the local bakery as Eve wants to try a rosette. 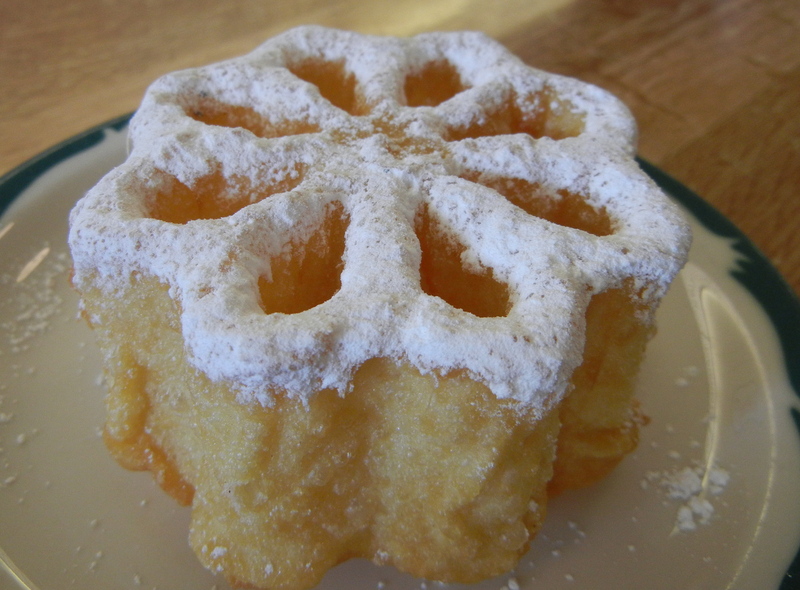 Tastes a lot like a crunchy beignet. 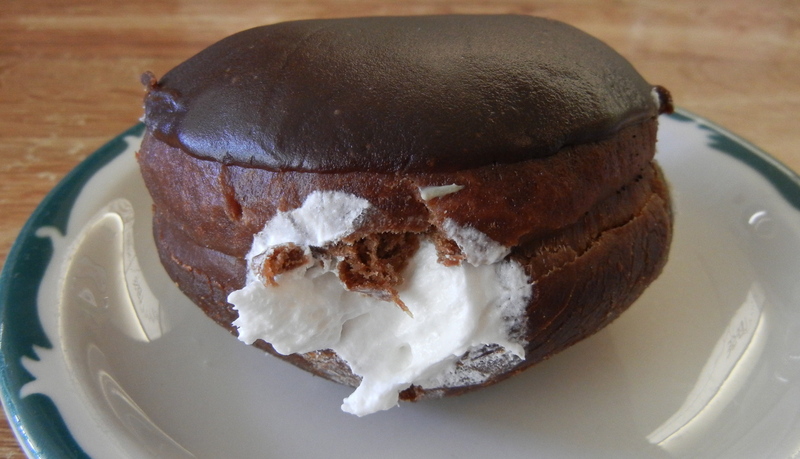 I had my eye on a piece of pie, but somehow got distracted and wound up with a chocolate bismarck. It tasted just like a Hostess cupcake, but it was much better. The bismarck is named after the former chancellor of Germany. 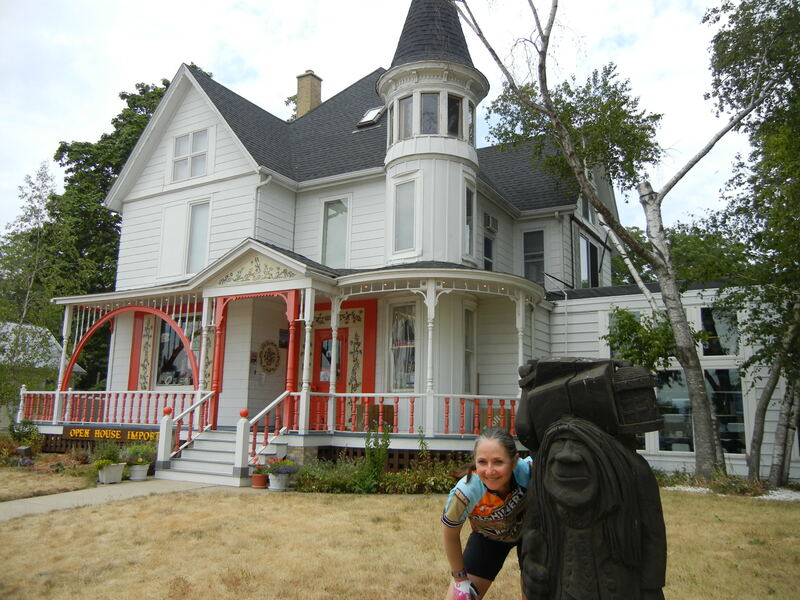 We have moved about 50 miles to the west to Mineral Point, at the Brewery Creek Inn. Bed, breakfast, and brewery, all in one. This could be the best of all worlds. 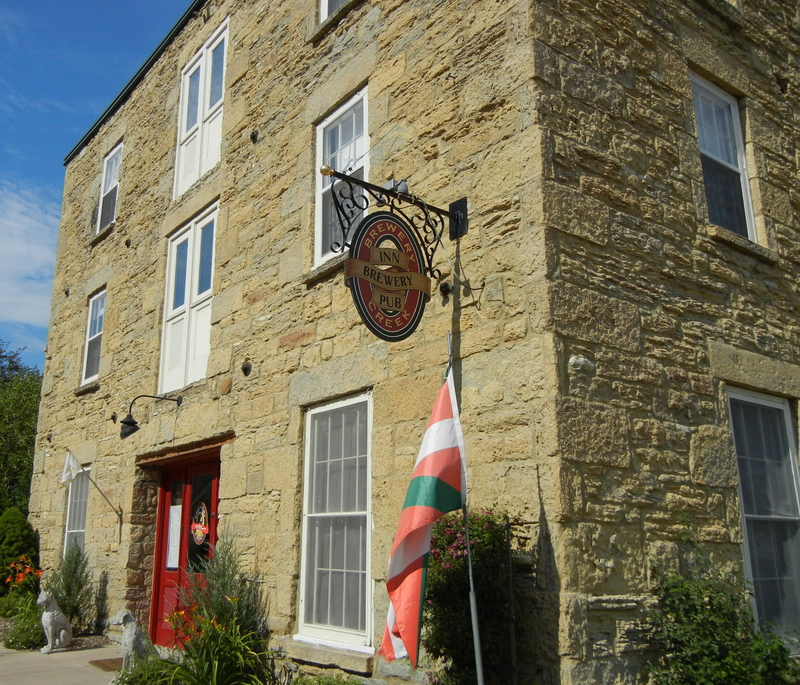 It’s a bed and breakfast in a building from 1850 that has a brewery and a restaurant right below our room. 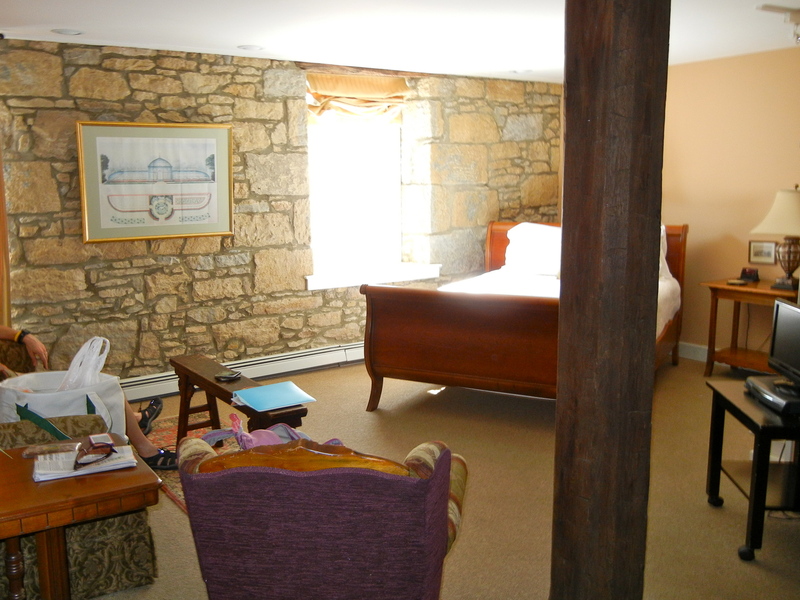 A room with character, and 160-year-old walls. Our room has a whirlpool for two in it, so we go for a pre-dinner soak of our road-weary legs. Beers and a hot tub. Life is good. 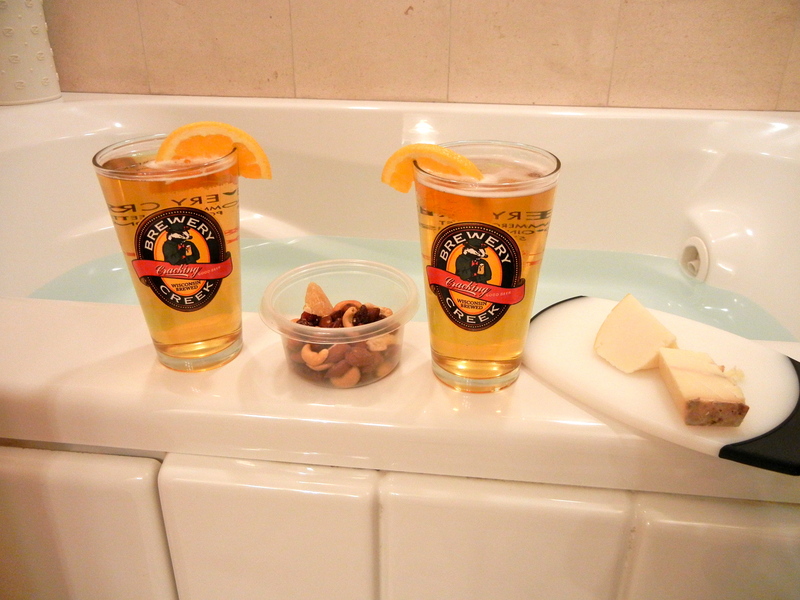 After our tub, we stumble downstairs for dinner. We skip the beer as we have had enough. 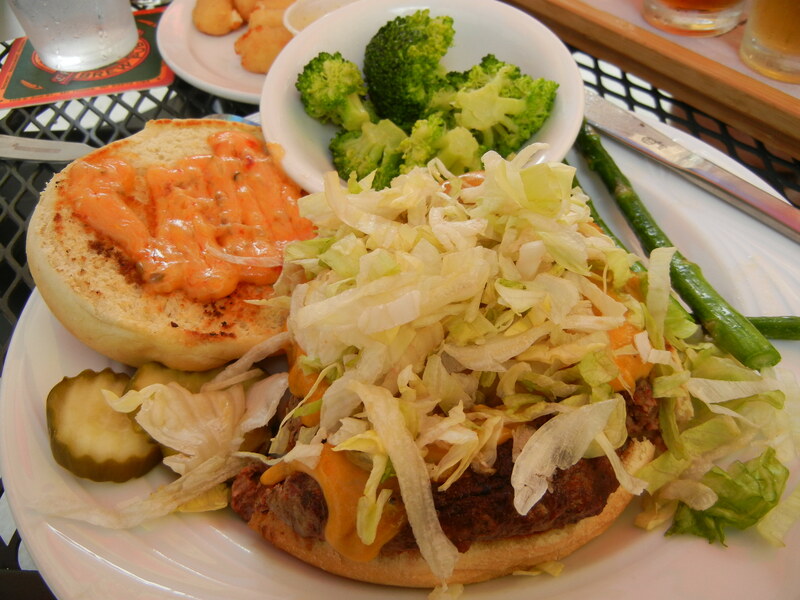 We try to go a little lighter with dinner, which is quite good. 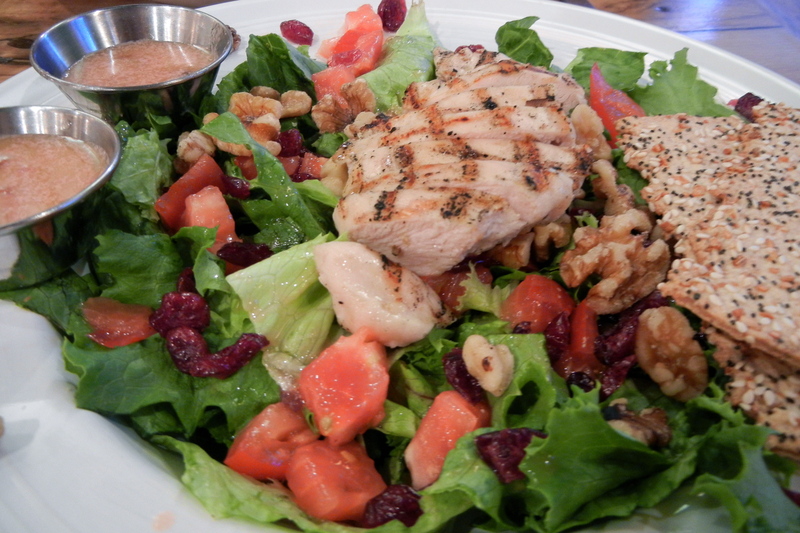 Craisin-walnut salad with grilled chicken. 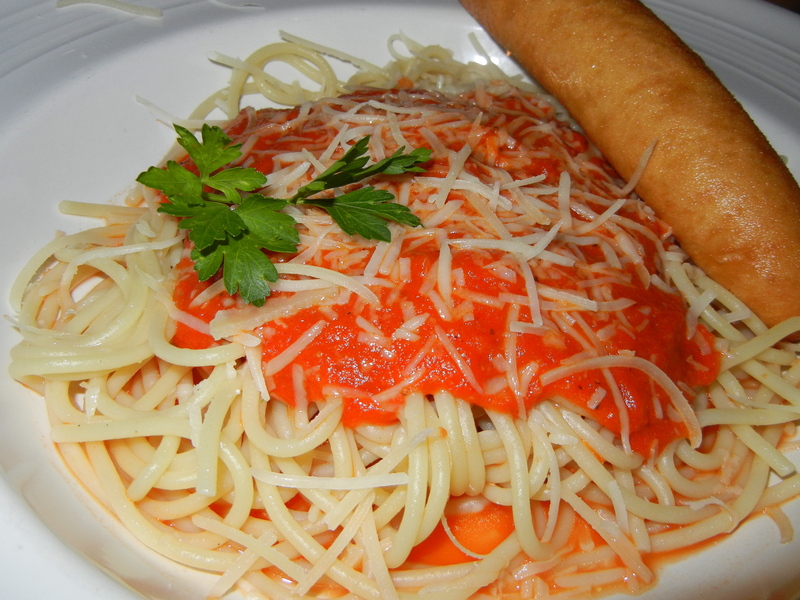 Sketti with basil marinara sauce. 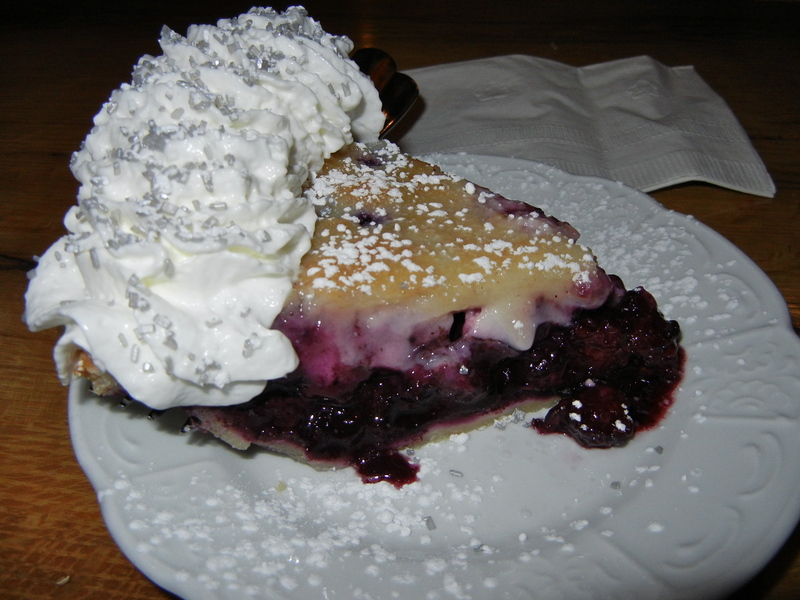 We forgot to save you a bite of the pie.